Serving Tray for The Anheuser-Busch Brewing Association from St. Louis, Missouri. 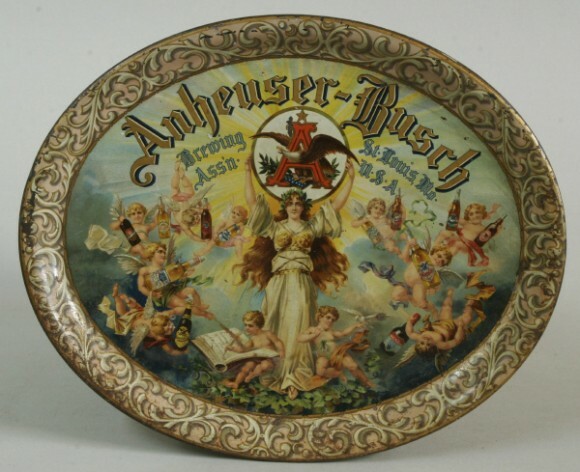 This trays picture in the center showing a beautiful woman as the central figure surrounded by small angels all holding a bottle of the company’s product. The central figure is holding the company’s logo above her head.